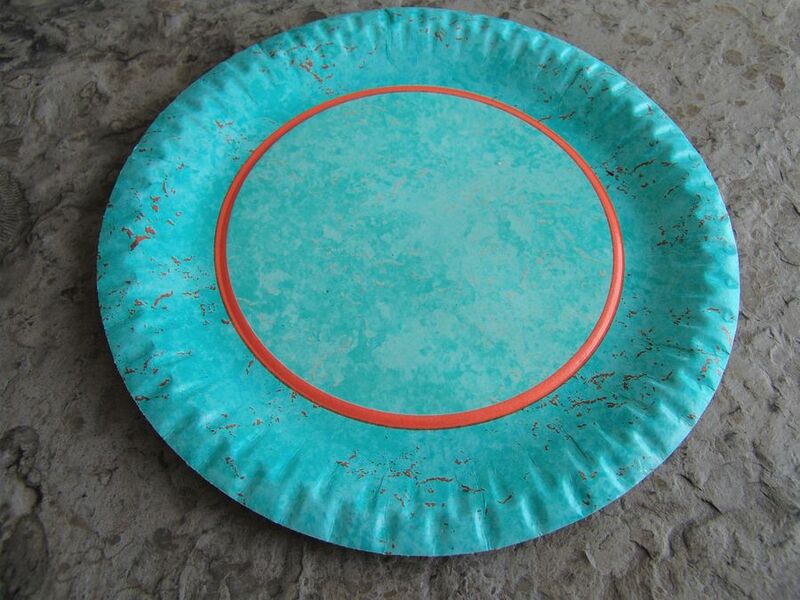 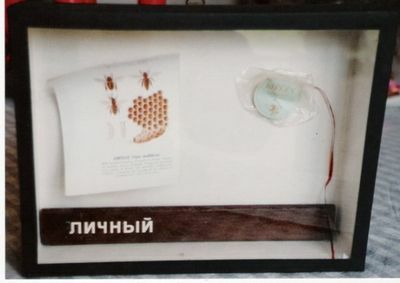 The works are listed alphabetically by the artist`s last name. 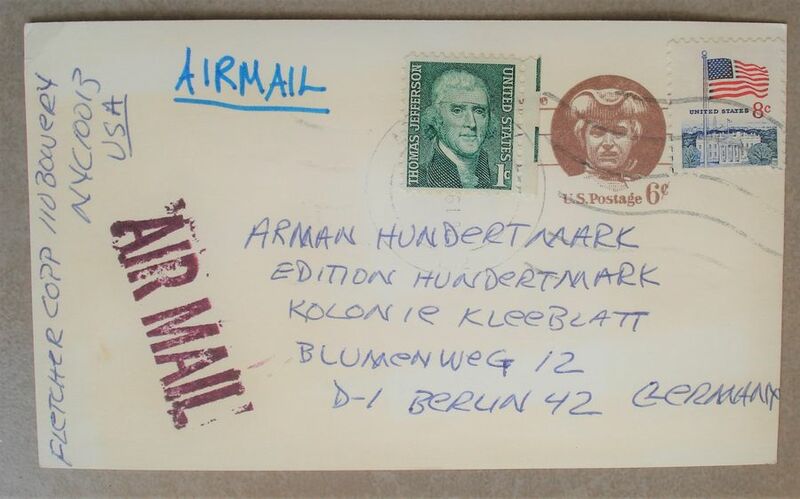 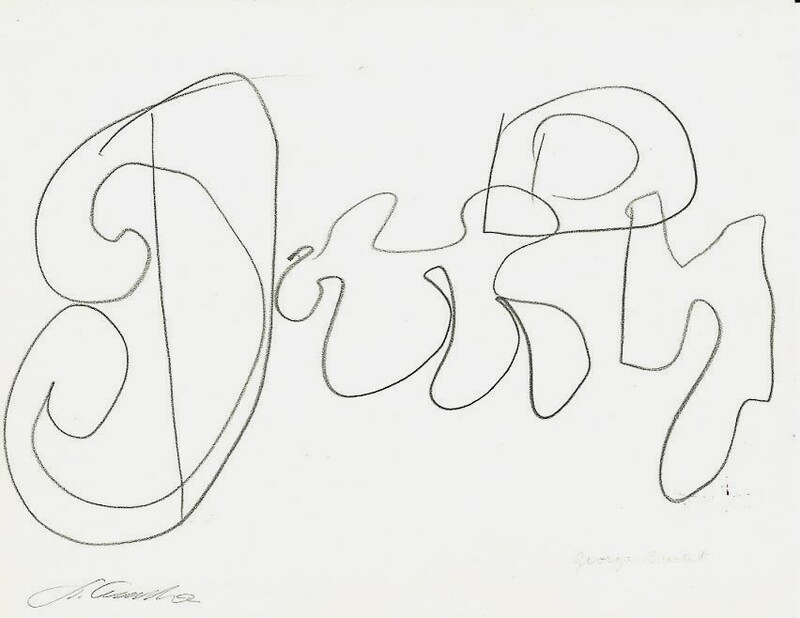 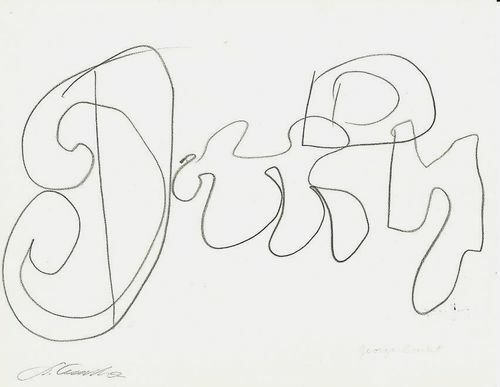 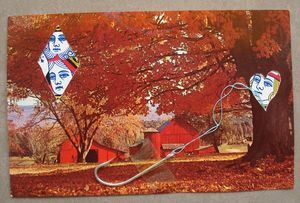 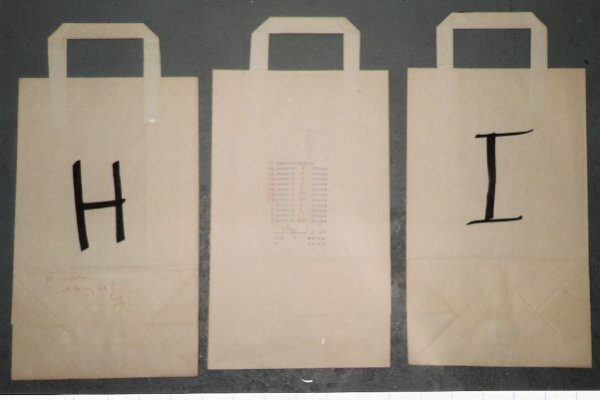 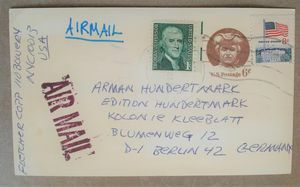 On this page are all artworks of artists where the surname begins with the letters A - E.
Paper bag, with handwritten entries and printed text from 1970. 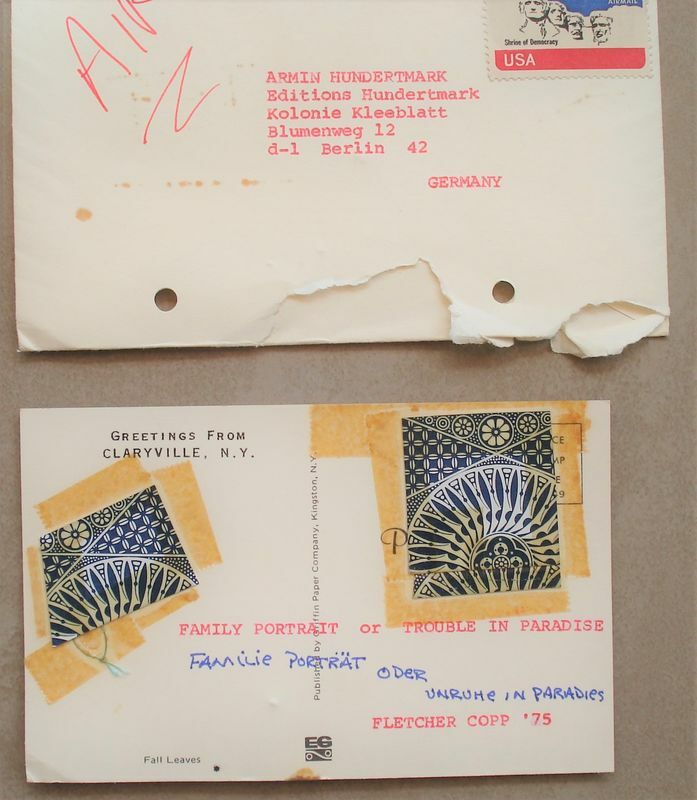 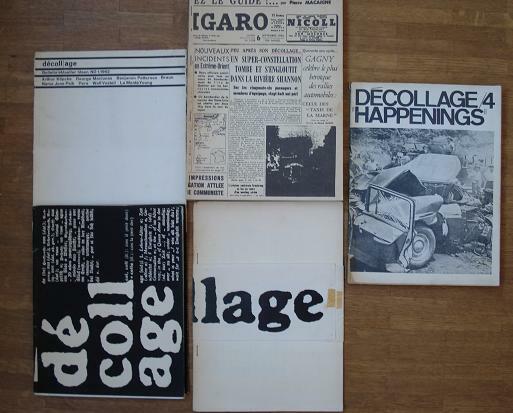 Some pieces by Eric Andersen from 1961 – 1968. 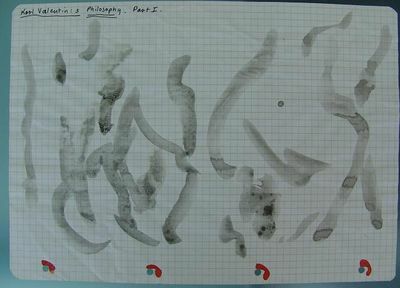 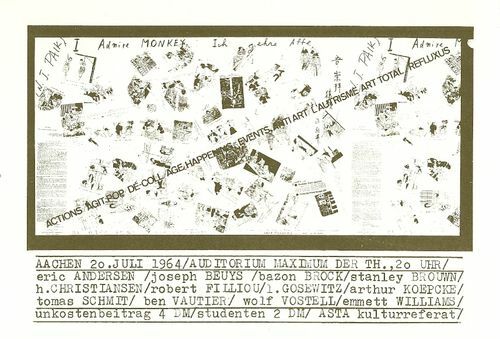 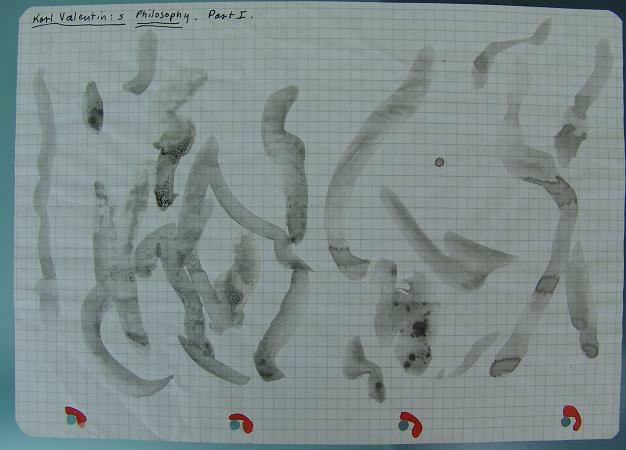 Performances: Copenhagen, Berlin, Aachen, Darmstadt, Heidelberg, Prag, Brno, Nice, Paris, Rotterdam, Den Haag, New York, Los Angeles, San Francisco, London, Lund, et al. 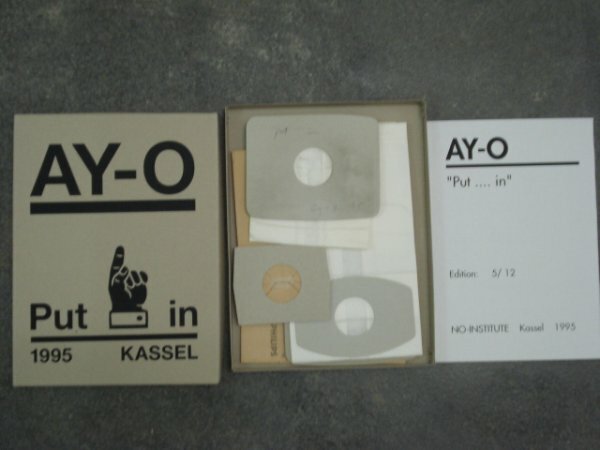 A folder with 77 parts in various sizes and techniques. 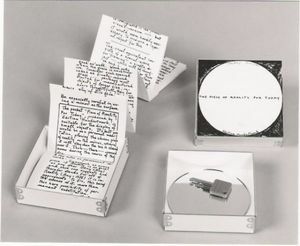 A plastic box with glued small figures and a typewritten text. 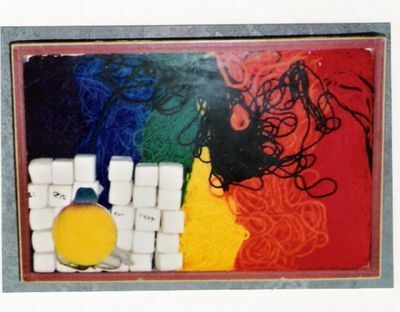 A box with colored copies and an object from the exhibition at the Kasseler Kunstverein, signed, dated and numbered. 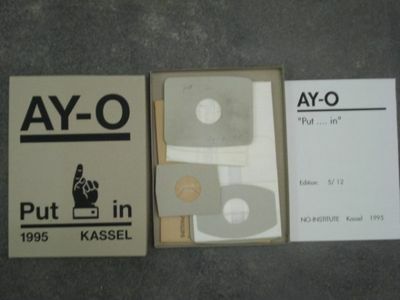 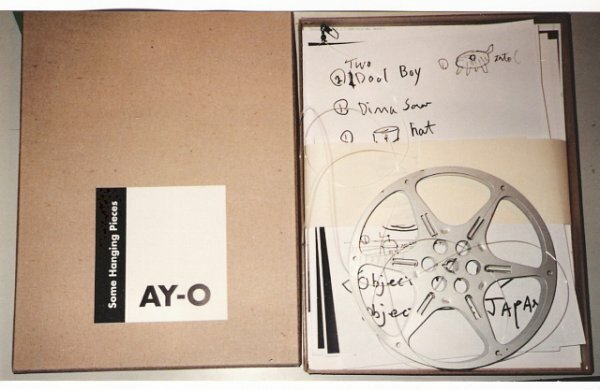 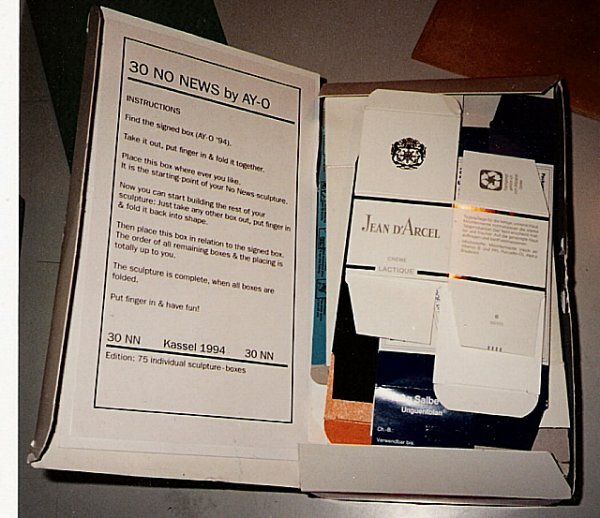 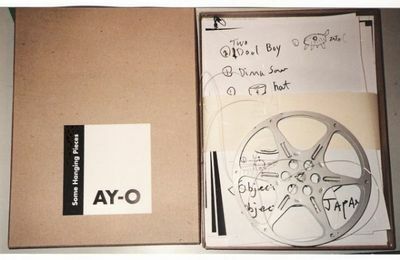 "30 NO NEWS by AY-O"
A cardboard box with a lot of printed cardboard boxes inside, one of them is signed, 1994. 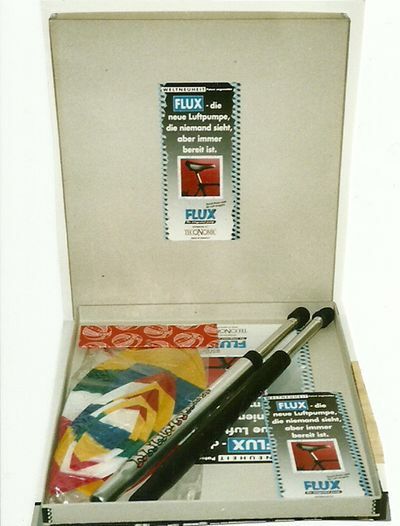 "FLUX - die neue Luftpumpe"
A box with a japanese ballon and two air-pumps. 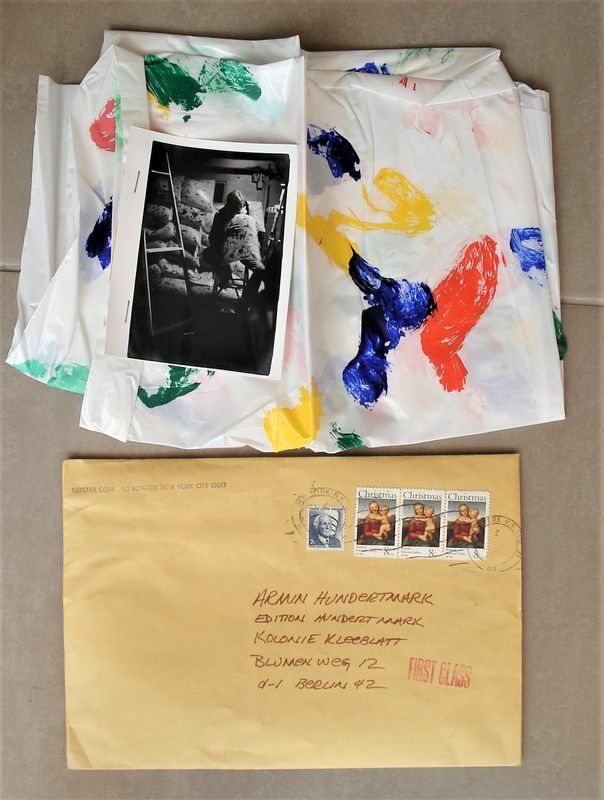 One is painted, signed and dated by Emmentt williams and the other one is with a handwritten text: "Blow up papper Balloon", signed and dated by AY-O. 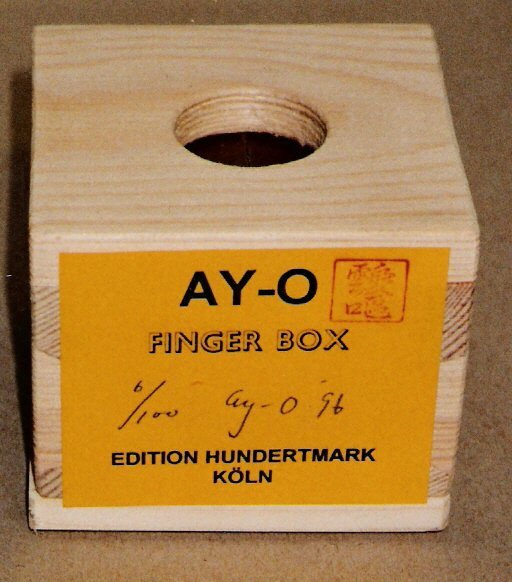 A wood box with a rubber membrane inside, you can put your finger inside and feel the content. 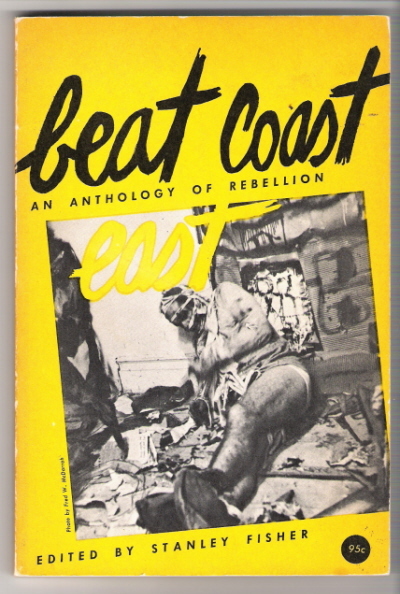 Edition of 100 copies, signed, numbered and dated. 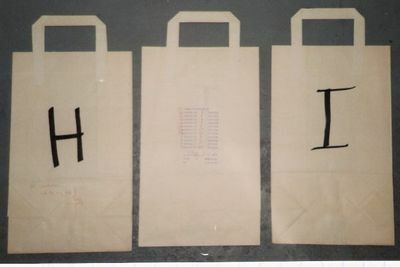 A card board box with three unicat works, "Exemplare unique". 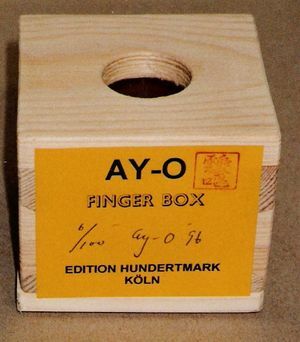 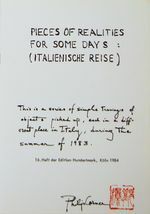 Al signed and dated, 1972, boxe 32 x 23 x 6 cm. 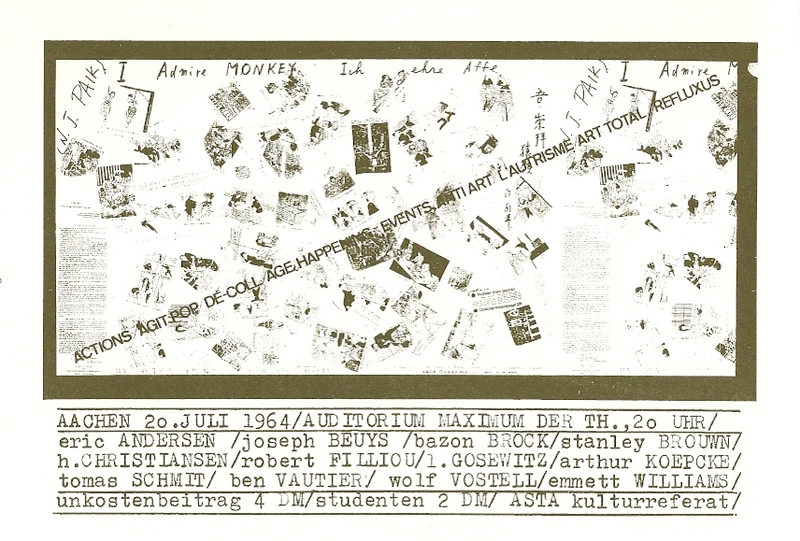 JOSEPH BEUYS, "1a gebratene Fischgräte"
104 pages with a conversation between J. Beuys and D. Spoerri on the action in the Eat-Art Gallery and 48 photos of the action, offset printing, stitched and with a two-tone jacket. 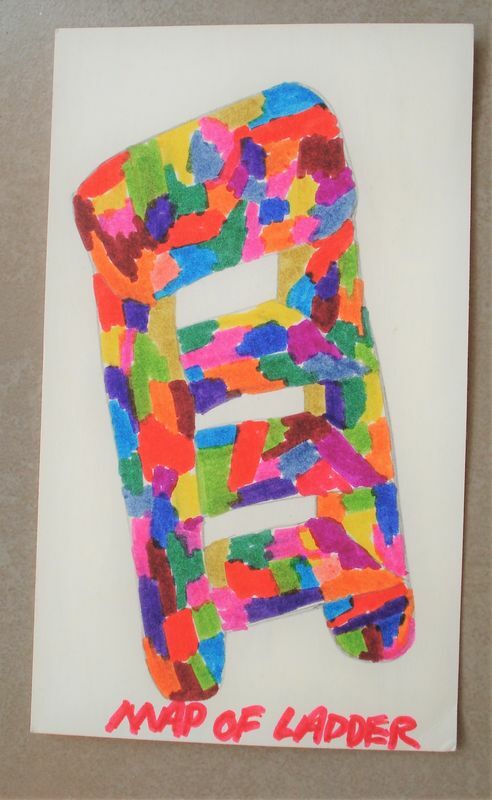 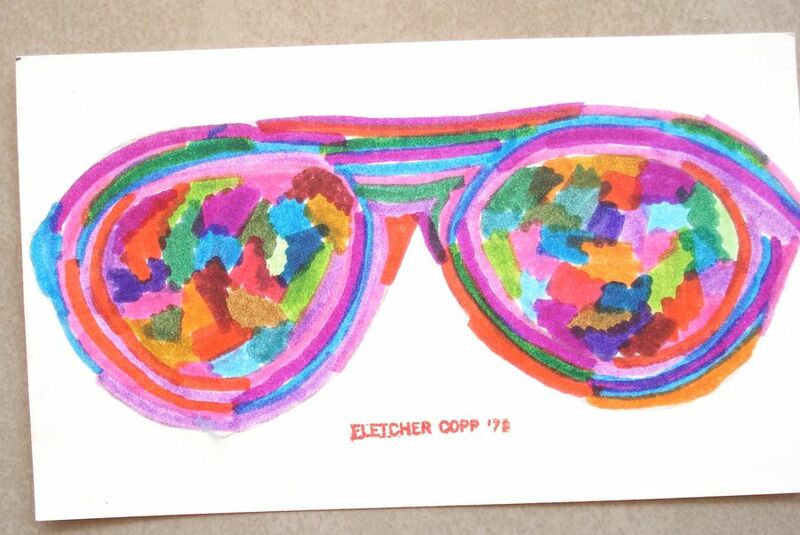 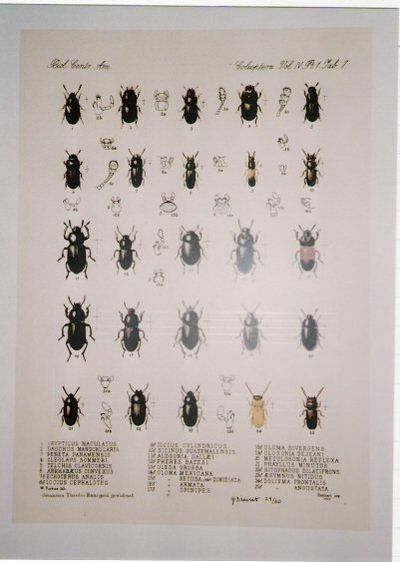 A multi-color screen print, signed and numbered. 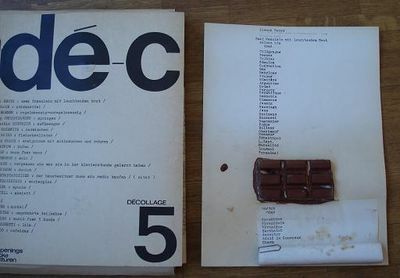 "Jour (NEE) ol est son vent"
Object-Box, signed and dated, 1973, the object is pictured in George Brecht`s Book: "Book of the Tumber on Fire"
Watercolor on paper, both artists are signed on the back. 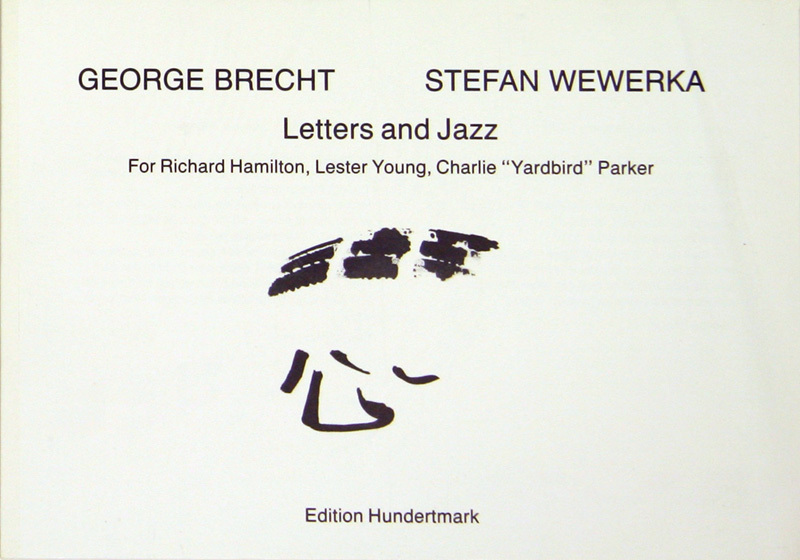 GEORGE BRECHT / STEFAN WEWERKA, "Letters and Jazz"
16 pages with 16 colored illustrations, teamwork by G. Brecht and S. Wewerka and a preface by the authors, offset-print. 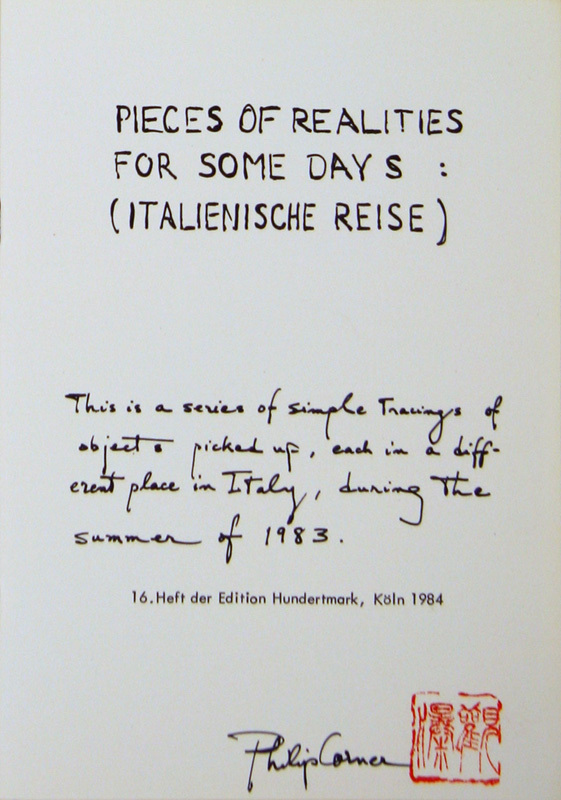 pencil drawing, signed fro Brecht and Wewerka, 27 x 21 cm. 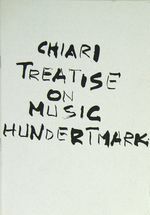 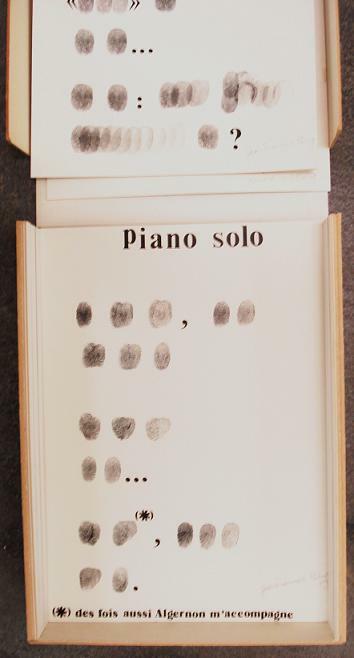 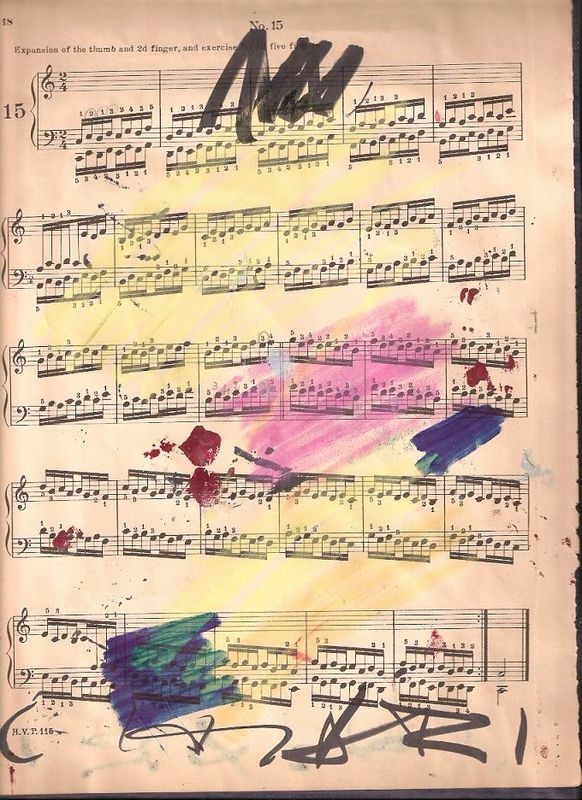 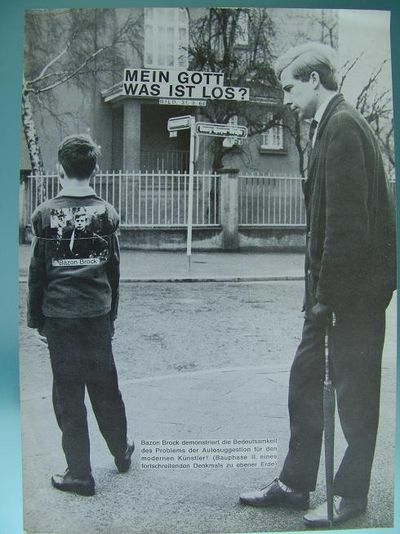 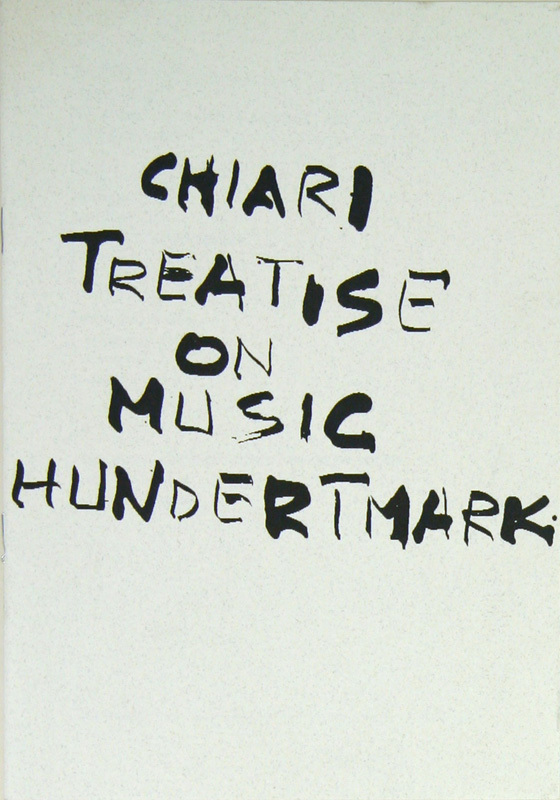 "MEIN GOTT WAS IST LOS"
GIUSEPPE CHIARI, "TREATISE ON MUSIC"
16 pages with score-text, cardboard cover, offset-print. 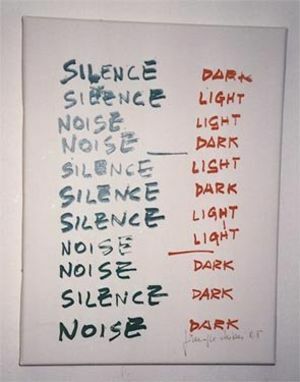 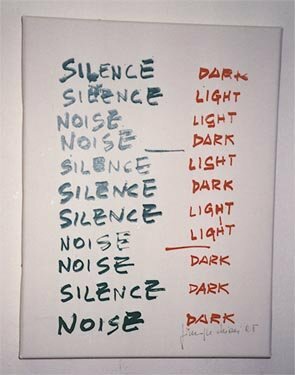 GIUSEPPE CHIARI, "SILENCE -- DARK"
A silk-screen on canvas in an adjustable frame. 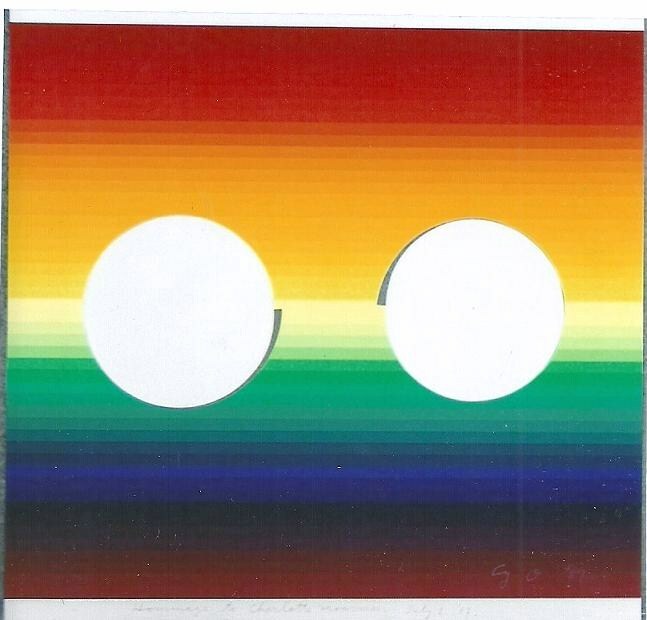 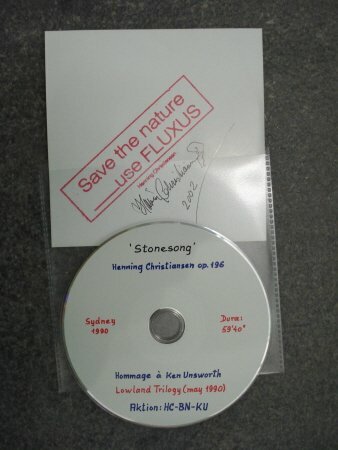 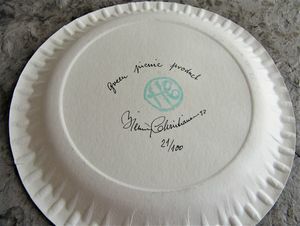 "Save the natur use FLUXUS"
Henning Christiansen, "Green pricnie product"
TENTH ANNUAL AVANT GARDE FESTIVAL DECEMBER 9, 1973"
Plastic back painted, in a envelop, stamped, Envelop 25,5 x 17,5 cm. Post carts collage, stamped FLETCHER COPP `75, and the envelop. 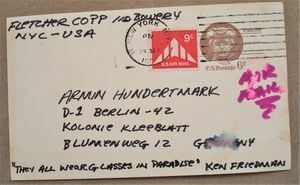 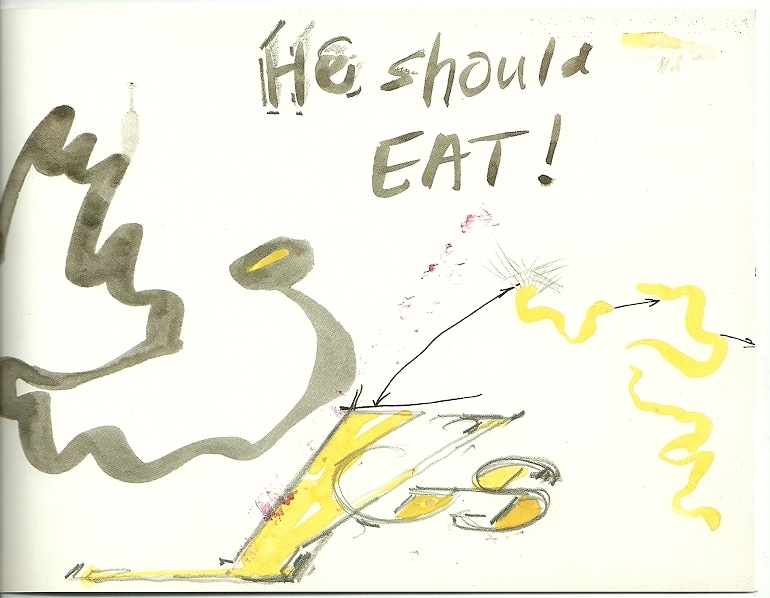 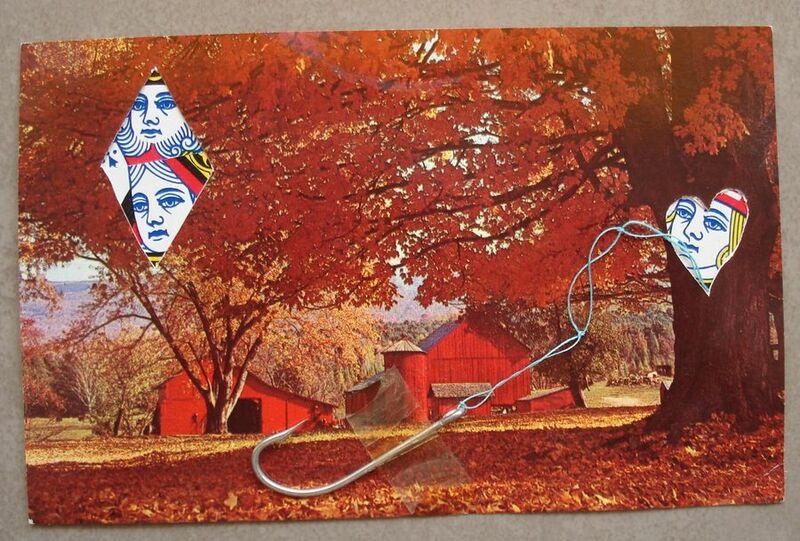 Post card with a drawing, signed. 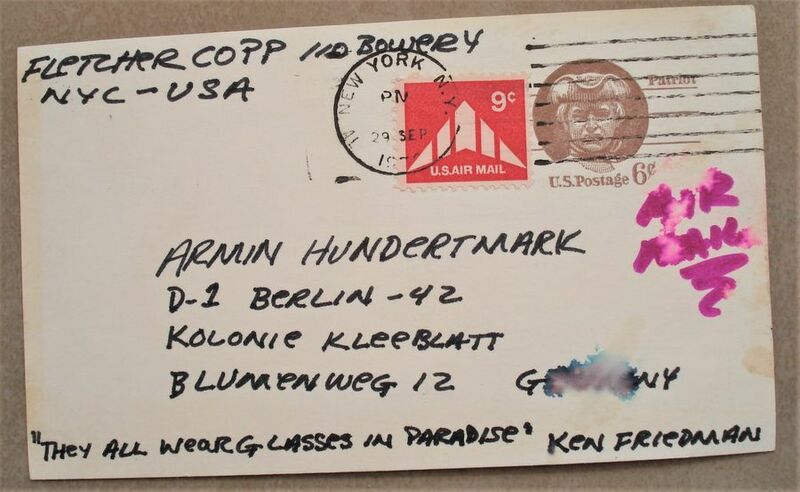 "THEY ALL WEARGLASSES IN PARADISE; KEN FRIEDMAN"
John Cage, aus " Concert for Piano and Orchestra"